By Catherine M Marino, Au.D. & Alexa Pomante, Au.D. When you think of hearing you may automatically picture the ears. However, there is so much more to hearing than what you see. Though we may listen with our ears, we hear with our brain. The brain is a complex organ responsible for many important daily functions, including hearing. Speech or sounds in the environment are sent through intricate structures of the auditory pathway and ultimately relayed to the brain. Your brain is able to process and make sense of what is being heard. When you have untreated hearing loss your brain is receiving a distorted signal. It has to work overtime because it is not receiving adequate stimulation or a true replication of the original signal. Over time this can have negative consequences such as increased listening effort, cognitive decline, and social isolation. Keeping your brain active has a positive impact on your health and overall quality of life. When you have a hearing loss, your brain is not being appropriately stimulated. If you ever wore a cast for a long period of time, you experience weakened muscles because you have not been using them. A similar experience can happen with your brain. The prolonged lack of stimulation can cause areas of the brain to atrophy. This process can result in cognitive decline or memory loss. Untreated hearing loss also causes increased listening effort. Since you are missing pieces of what is being said, your brain has to work harder to fill in the gaps. This can be exhausting and may lead to withdrawal from participating in your favorite social activities because you may feel that it is just not worth the effort. Although it is never too late, the sooner a hearing loss is identified and treated the better. Hearing aids can help provide your brain the stimulation it needs. Better hearing has been linked to improved mental, physical, and social health. Chances are your hearing loss did not happen overnight. On average, it takes an individual with hearing loss 7 years before they seek treatment. Think back to the example of being in a cast. Once the cast is removed it takes time and possibly physical therapy to strengthen your muscles again. When you are new to hearing aids, a process called acclimatization occurs. The audiologist will gradually increase your “prescription” based on your subjective reports. Sounds that you possibly have not heard in a number of years may take some time to get used to and categorize. It is good for your brain to hear all sounds in your environment, even ones you are not necessarily interested in. We have two ears for a reason. When a person has hearing loss in both ears, two hearing aids are highly recommended. Your brain is designed to receive input from both ears. Increased listening effort will still occur when only one device is worn. The hearing aids work together and make synchronous adjustments depending on the type of environment you are in. This helps you hear better in challenging situations such as background noise. The ability to localize where sound is coming from also improves with the use of binaural amplification. When both ears are working to the best of their ability you will hear sounds more naturally. When appropriate, two hearing aids provide you a rich and balanced representation of sound. Revitalize your brain by hearing well again. 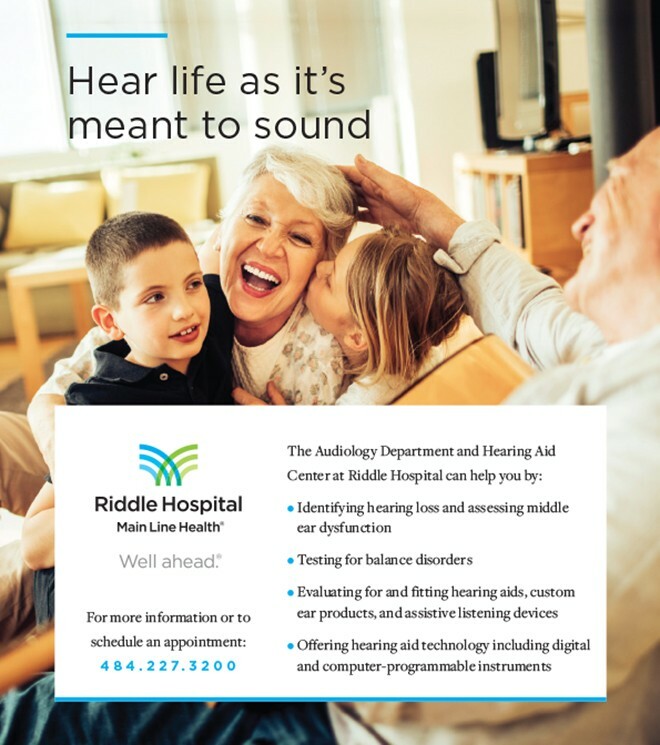 Visit the audiologists at Riddle Hospital who are ready to help you make hearing health an important part of your routine. 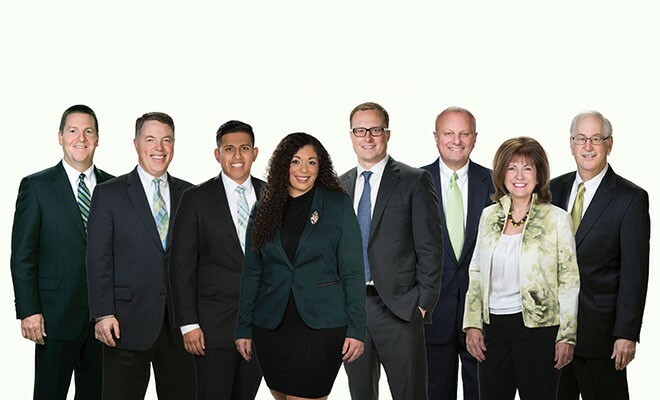 The audiologists at Riddle Hospital, part of Main Line Health, share the same goals that you do – to help you hear your best to live life fully. ← Previous Story Gallbladder Attacks: Is It Time For Surgery?